The Industrial Rail work caboose features an operating derrick boom. The car's design is based more on the HO Model Power work caboose than on any actual prototype. The IR car design shares the Model Power car's derrick boom, handrail and and cabin design. Work cabooses served a very different purpose than traditional caboose. 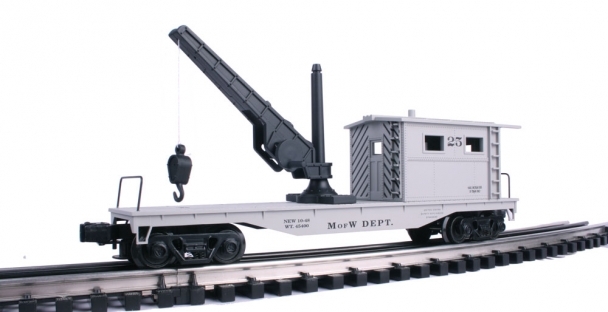 Work cabooses were designed as mobile tool sheds rather than crew quarters. These specialized cars were used in Maintenance-of-way service.